What are Class Codes and when do I need them? • What is a class code? • When do I need a class code? • How do I reset / update my student's class code? Every class in Makers Empire has a unique Class Code. Your Class Code is either three numerals + a short word or a short word + three numerals, e.g. 123word or word123. Whenever a new class is created, a unique Class Code will be automatically generated. 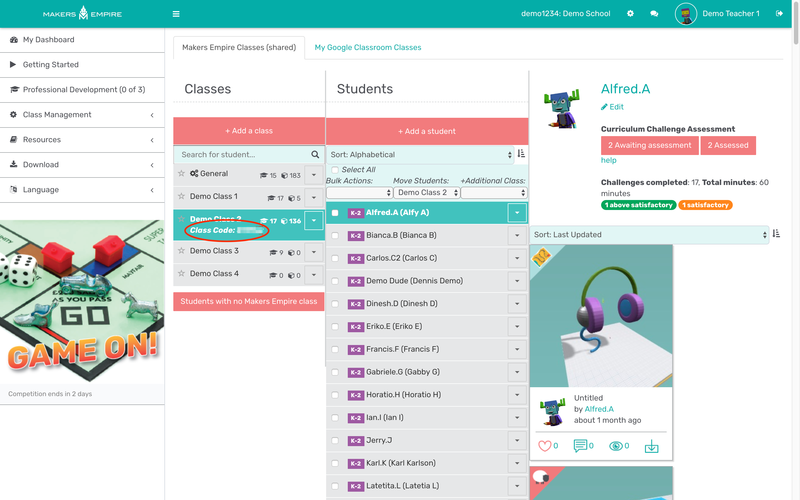 Teachers can find the Class Code in the Teachers Dashboard. 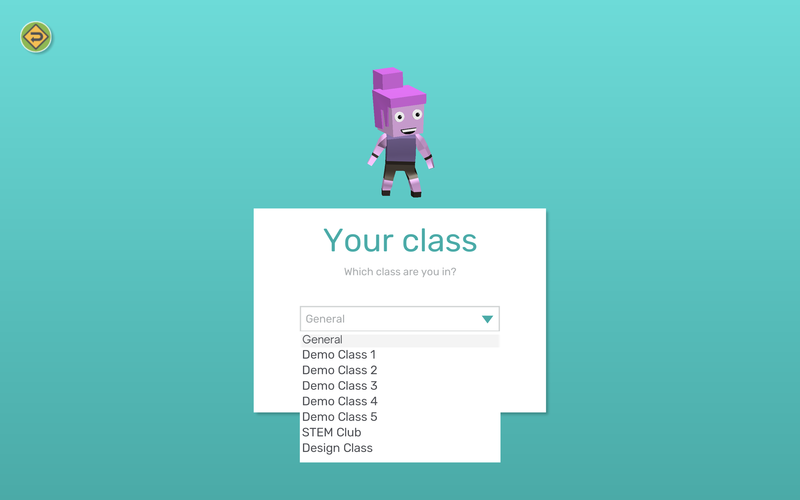 Simply select your class and the Class Code will be displayed directly beneath the class name. WHEN DO I NEED A CLASS CODE? 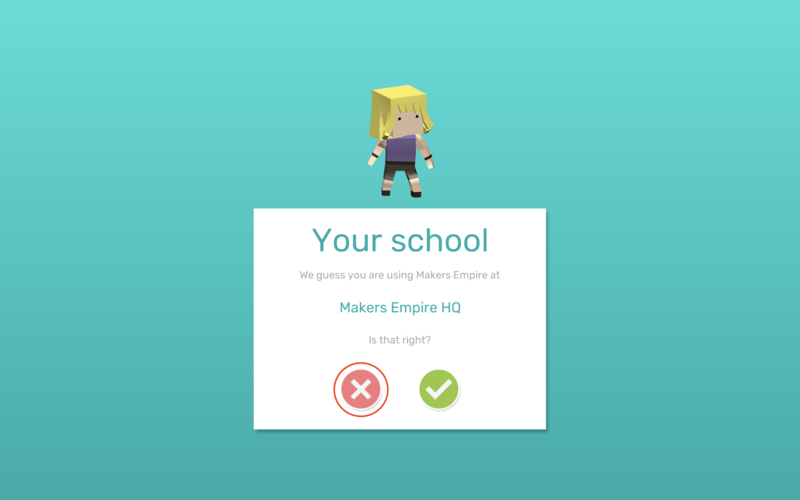 Your Class Code allows students to quickly and easily join a specific Makers Empire class when creating a new account in the Makers Empire 3D app. When your students create a new Makers Empire account, they will create a Hero, set their username and password, and then our system will try to recognise your school using your IP address. If we correctly recognise your school, students simply click the Yes (tick) button and will be asked to choose their class from a drop down list. In this case your student will not need a Class Code. If we cannot correctly recognise your school, students click the No (X) button and will then be asked to enter their Class Code. 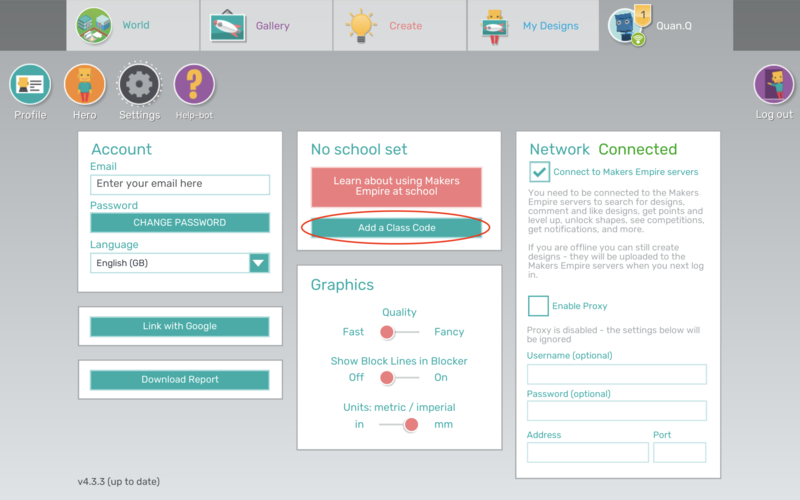 *NOTE FOR NEW USERS* If your school is using Makers Empire for the first time, it is a good idea to write your Class Code on the board, or give each student a card with it written down. If you are using Google Classroom to synchronise all your students/classes, then there is no real need for Class Codes. 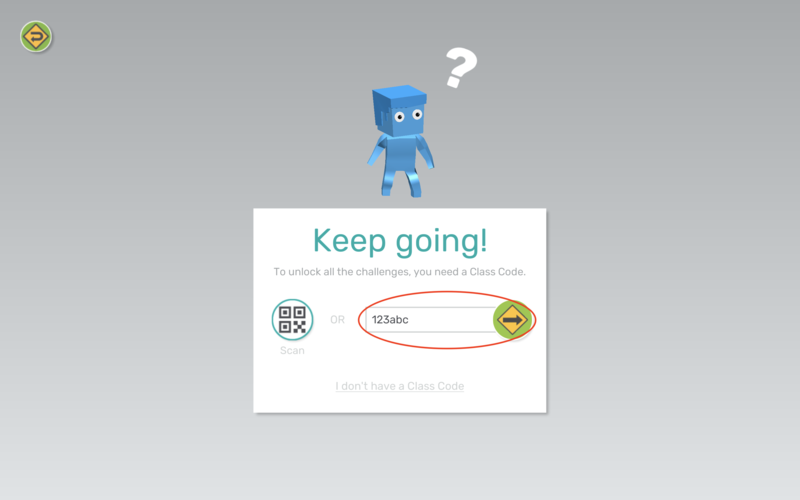 If the students are logging in with their Google Accounts, then they could skip the step to enter the Class Code. 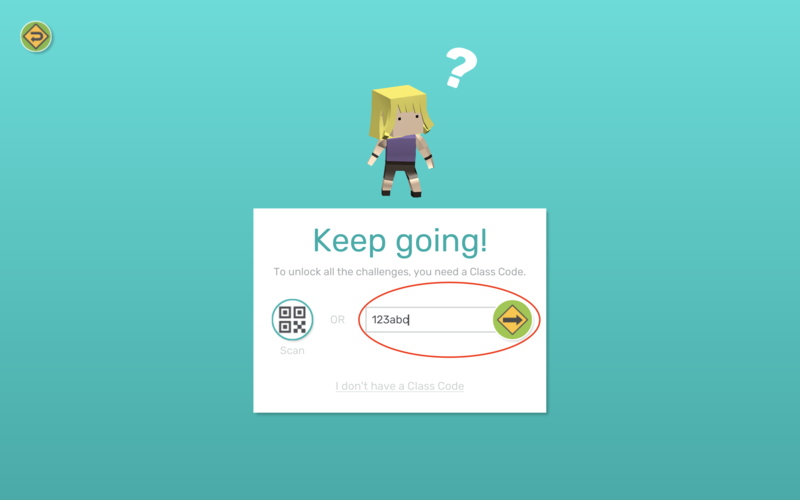 HOW DO I RESET / UPDATE MY STUDENTS' CLASS CODE? My student didn't enter a Class Code. If, during the new account process, we could not recognise your school's IP, and your student did not enter a Class Code, they will not be associated with your school and will not appear in the Teachers Dashboard. 1. Go to Profile tab > Settings and click the Add a Class Code button. 2. Follow the prompts to finish setting up their account. It is extremely unlikely that a student will randomly guess another class' Class Code, but they might pick the wrong class from the drop down list of options. If your student has somehow ended up in the wrong class for whatever reason, you can change their class anytime in the Teachers Dashboard.